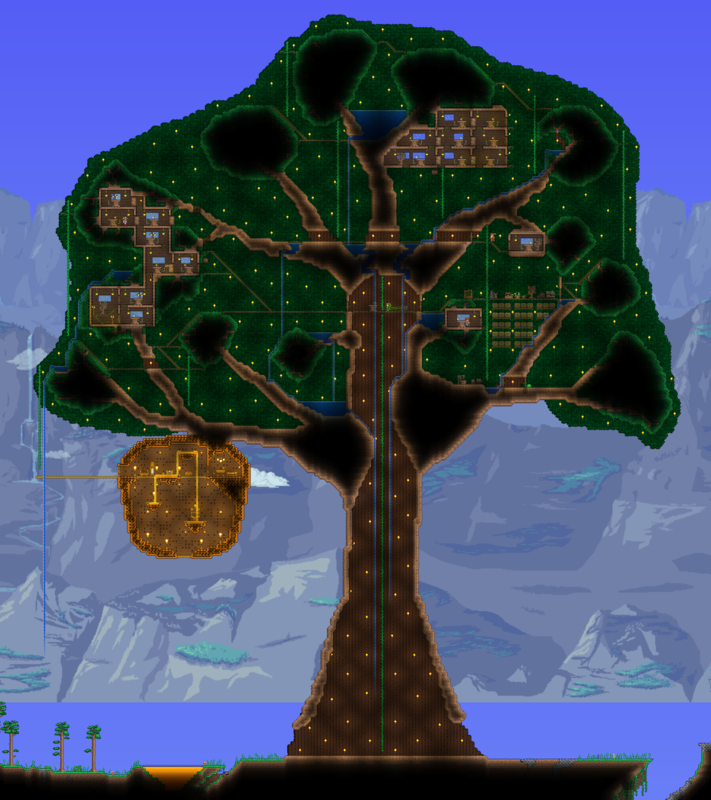 This map is simply a giant living wood treehouse standing in the middle of an otherwise-untouched Medium Crimson world. The Jungle is free of Crimson, the Dungeon is made of blue bricks, and there is at least one pyramid present. The treehouse itself contains enough housing for every NPC in the game minus the Truffle, a bed, a piggy bank, a safe, and all the pre-Eye of Cthulhu crafting stations. It also has a bunch of neatly-organized storage chests, and two conveniently-close NPC houses. There's plenty of vine rope in the leftmost Weapons and Tools chest, so you can get started on your Hellevator right away!